What is XSS: Cross-site scripting? XSS doesn't need an authenticated session and can be exploited when the vulnerable website doesn't do the basics of validating or escaping input. When the server doesn't validate or escape input as a primary control, an attacker can send inputs via request parameters or any kind of client side input fields (which can be cookies, form fields or url params). These can be written back to screen, persisted in database or executed remotely. Be aware using shorten URLs as you don't know where they can lead! First check where the hidden link leads using unshorten.it. After receiving the final link, check it out on the VirusTotal website. It is also suggested to have it as a browser extension. Reflected attacks are those where the malicious script is reflected by a web server and then executed by the the web browser. In this type of attack a user is tricked into clicking a link, or filling in a form, that has the script hidden in it. This can be achieved by sending an email, or posting the link on a forum. As the domain that the victim can see in the URL is well known and trusted, the victim won't expect any harm behind it. When this is submitted to the server it will be rejected and reflected back to the browser. Many servers will send the input back in text format so the browser can display the input that was rejected. If this text is a valid script then the browser will execute it as it is coming from a trusted source. The attacker could use the victim's CPU to calculate bitcoins in the browser or could steal the victim's cookie. Besides injecting the script using query parameters, the attacker may also inject the script persistenly into a web site's storage. The storage can be in a database, in a web page component like a message forum, visitor log, comment field, or other element that goes to make up a page to deliver to a user. In case, a forum that doesn't validate the user's input, website could be compromissed by posting something that contains the malicious script. The malicious script is delivered along with the normal web content and the client executes it. Every user of the forum that reads the attacker's post will become a victim. What is XFS: Cross Frame Scripting? The X-Frame-Options HTTP response header can be used to indicate whether or not a browser should be allowed to render a page in a <frame>, <iframe>, <embed> or <object>. Sites can use this to avoid clickjacking attacks, by ensuring that their content is not embedded into other sites. Browsers that support SVG inside <img> tags do not support scripting inside the context. But you should not use SVG inside <embed> or <object> tags where scripting is supported by browsers! An XML parser is used to parse the SVG, whether it is inside the <img> or <object> tag. The parser is certainly tweaked with some parameters to ignore <script> tags in the <img> context. Yet, that is quite ugly, it is blacklisting a tag in a certain context. And blacklisting is poor security. <script> is not the only way to achieve execution context in SVG, there are also the onmouseover (and family) events present in SVG. This is again tricky to blacklist. The XML parser in browsers did suffer from problems in the past, notable with XML comments around script blocks. SVG may present similar problems. SVG has full support for XML namespaces. xlink:href is a completely valid construct in SVG and the browser inside the XML parser context will likely follow it. Therefore, SVG opens several possible vectors to achieve execution context. And moreover, it is a relatively new technology and therefore not well hardened. What is CSRF: Cross-site request forgery? In a CSRF attack, the attacker tries to force/trick you into making a request which you did not intend, making use of the existing victim's context, such as cookies. Every time you interact with website, its server checks the cookie you send with the request so it knows it's you. The level of the attack is based upon the level of privileges that the victim possessed. Because attacker will use the authentication that has gained in the current session to do the malicious task. This is the reason why this attack termed as Session Riding too. Now, in the background transfer can happen though you clicked this link (of course, if your banking uses GET request for such actions without any confirmation). Depending on the vulnerable web site, using CSRF, attackers can also change your credentials or user profile properties. This attack requires the user to click the form button on hacker's website, then the malicious page could just as easily send the request by submitting the form. After submitting the form user could figure out what happened, but it could be too late to revert or discard these changes. Both these attacks seems to be very similar, as they are client-side attacks and doing quite similar things, enforcing some form of user activity (e.g. clicking a link or visiting a website). XSS is generally more powerful than CSRF because it usually allows the execution of arbitrary script code while CSRF is restricted to a particular action (e.g. changing the password). A successful XSS attack also effectively bypasses all anti-CSRF measures. Expect any untrusted data to be malicious. What's untrusted data? Anything that originates from outside the system and you don't have absolute control over so that includes form data, query strings, cookies, other request headers, data from other systems (i.e. from web services) and basically anything that you can't be 100% confident doesn't contain evil things. Validating input is the process of ensuring an application is rendering the correct data and preventing malicious data from doing harm to the site, database, and users. Input validation is especially helpful and good at preventing XSS in forms, as it prevents a user from adding special characters into the fields, instead refusing the request. Sanitizing data is a strong defense, but should not be used alone to battle XSS attacks. Sanitizing user input is especially helpful on sites that allow HTML markup, to ensure data received can do no harm to users as well as your database by scrubbing the data clean of potentially harmful markup, changing unacceptable user input to an acceptable format. The good news is that most modern browsers do support the HttpOnly flag. Regardless, HttpOnly cookies are a great idea, and properly implemented, make common XSS attacks much harder to pull off. HttpOnly cookies don't make you immune from XSS cookie theft, but they raise the bar considerably. Anyway, a "set it and forget it" setting is pretty secure as all modern browsers implemented client-side HttpOnly cookie security correctly. The X-XSS-Protection header is designed to enable the cross-site scripting (XSS) filter built into modern web browsers. This is usually enabled by default, but using it will enforce it. A 0 value disables the XSS Filter. A 1 value enables the XSS Filter. If a cross-site scripting attack is detected, in order to stop the attack, the browser will sanitize the page. A 1; mode=block value also enables the XSS Filter and rather than sanitize the page, when an XSS attack is detected, the browser will prevent rendering of the page. Because of your session is active in the browser and it has your session id, CSRF attack can happend. This is the reason the most popular CSRF protection is having another server supplied unique token generated and appended in the request as a hidden value in every state changing form which is present on the web application. This token, called a CSRF Token or a Synchronizer Token. This unique token is not something which is known to the browser like session id. Instead of putting the anti-CSRF token in the cookie, the server needs to put it as a hidden parameter in a form. For every request involving some sensitive action, the browser will send this token also along with the request and the server, before performing the action, would verify if the token is the one that it had sent to the browser or not. This additional validation at server will make sure that the attacker manipulated link. This protects the form against CSRF attacks, because an attacker has no way of performing this sensitive action on behalf of the user, as forging a request will also need to guess the anti-CSRF token. Unless an attacker won't successfully trick a victim into sending a valid request or somehow finds out the random anti-CSRF token itself. This token should be invalidated after some time and after the user logs out. The token have to be unique per action and have to be valid only once. Never share tokens via URLs. CSRF attacks are only possible since Cookies are always sent with any requests that are sent to a particular origin (domain and path), which is related to that Cookie. Due to the nature of a CSRF attack, a flag can be set against a Cookie, tuning it into a same-site Cookie. 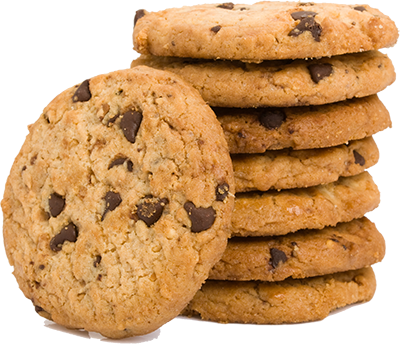 A same-site Cookie is a Cookie which can only be sent, if the request is being made from the same origin that is related to the Cookie being sent. The Cookie and the page from where the request is being made, are considered to have the same origin if the protocol, port (if applicable) and host is the same for both. When another site tries to request something from the web application, the cookie is not sent. This effectively makes CSRF impossible, because an attacker can not use a user's session from his site anymore. Strict: the cookie is withheld with any cross-site usage. Even when the user follows a link to another website the cookie is not sent. Lax: some cross-site usage is allowed. Specifically, if the request is a GET request and the request is top-level. Top-level means that the URL in the address bar changes because of this navigation. This is not the case for iframes, images or XMLHttpRequests. This table shows what cookies are sent with cross-origin requests. As you can see cookies without a same-site attribute (indicated by "normal") are always sent. Strict cookies are never sent. Lax cookies are only send with a top-level get request. As you would expect strict mode gives better security, but breaks some functionality. Links to protected resources won't work from other sites. Even if you are logged in and have access to some resource, your strict cookies won't be sent when coming from another site. With lax mode, this still works, while providing decent security by blocking cross-site post requests. The same-site attribute is a good method to protect against CSRF attacks, because it seems to the attacker as though you are no longer logged in to the website under attack. Referer header tells server from where the request has originated. If the request is coming from unauthorized domain, then Referer header will contain that value and server can simply reject that request. These headers are great to additional check against CSRF attack, but do not rely only on them. All the SOP does, is prevent the response from being read by another domain (aka origin). This is irrelevant to whether a CSRF attack is successful or not. The only time the SOP comes into play with CSRF is to prevent any token from being read by a different domain. CORS does not increase security, it simply allows some exceptions to take place. Some browsers with partial CORS support allow cross site XHR requests (e.g. IE 10 and earlier), however they do not allow custom headers to be appended. In CORS supported browsers the Origin header cannot be set, preventing an attacker from spoofing this. All of the above has nothing to do with forged requests coming directly from an attacker. Remember, the attacker needs to use the victim's browser for their attack. They need the browser to automatically send its cookies. This cannot be achieved by a direct curl request as this would only be authenticating the attacker in this type of attack scenario (the category known as "client-side attacks"). Both attacks have in common that they are client-side attacks and need some action of the end user, such as clicking on a link or visiting a web site. XSS executes a malicious script in your browser, CSRF sends a malicious request on your behalf. What is the difference between XSS and CSRF from their execution perspective?